The main goal of this work, as stated in the Introduction, is “helping pilgrims find in each place the spiritual legacy of Pope John Paul the Great”. A vast number of his quotes, highlighted for easy reading, connect each place with John Paul II and gather his valuable teaching. 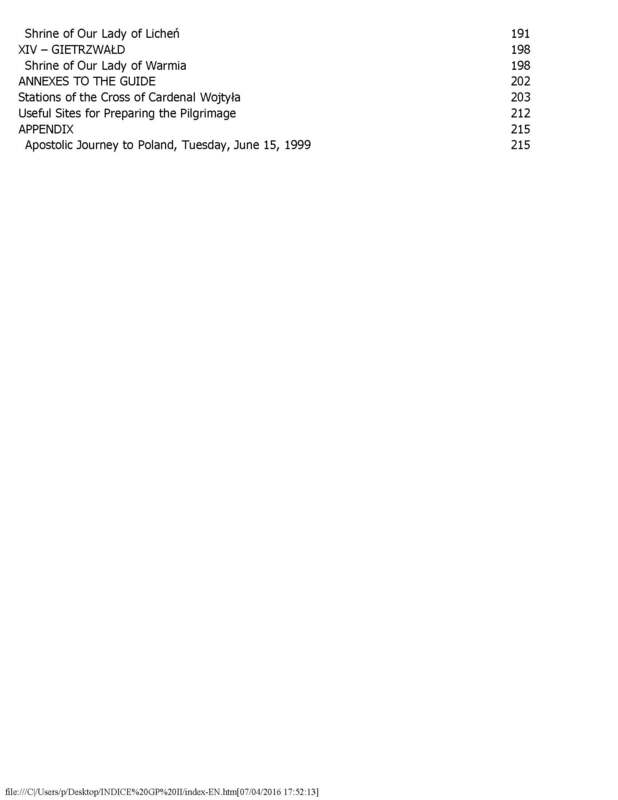 An itinerary of visits is suggested, following a chronology according to John Paul II’s life. 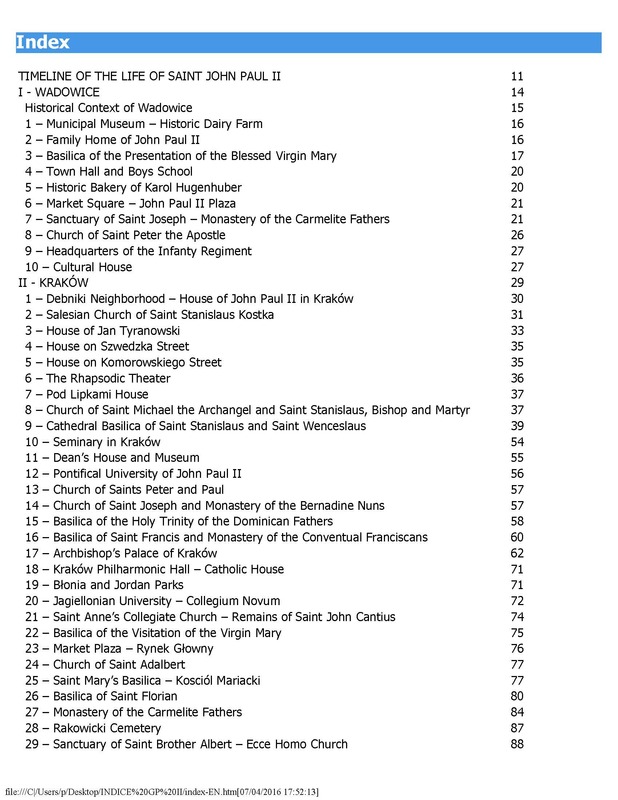 Pilgrims can easily use the book for the itinerary they consider proper. To this end, the most important cities are highlighted in different colours. 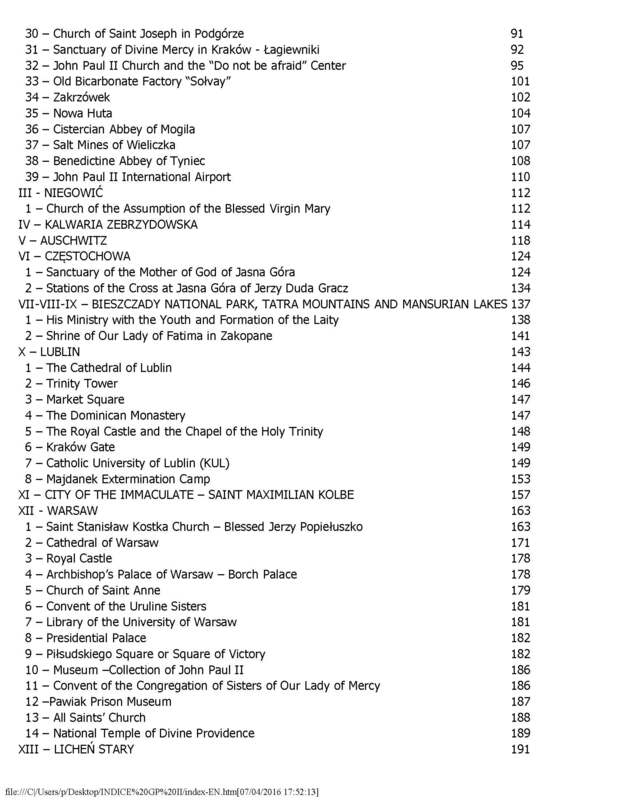 Finally, we would like to point out the relevance of the Pilgrim’s companion in view of the next Krakow 2016 – World Youth Day. We think it will be of great use for those willing to combine the World Youth Day with a pilgrimage, within the framework of Saint John Paul II’s spirit, who loved young people so dearly and from Heaven still intercedes for them. Copertina a 4 colori plastificata lucida. Recensisci per primo “With Saint John Paul the Great in Poland. A Pilgrm’s companion” Click here to cancel reply.